Michelle Montez was appointed Director of Pastoral Planning for the Archdiocese of Santa Fe in September 2002 and was later appointed Director of Evangelization in 2006 by Archbishop Michael J. Sheehan. She continues to direct both offices. 2011 marks Michelle’s 21st year as a youth and young adult minister and currently serves OL Most Holy Rosary in Albuquerque in this capacity. 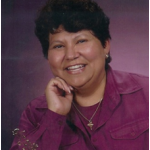 She is a graduate of the University of New Mexico with a BA in Philosophy and has received her Ministry Formation from the Emmaus Journey School of Ministry, Christian Leadership Institute, Center for Ministry Development, UNM Anderson School of Management and the Liturgical Institute of the Southwest. In 2000, Michelle was the recipient of the DEI Lumen Eccelsia award for Adult Formation for her work in creating the Gathering the Family Program for the Office of Evangelization. Michelle enjoys the support of family and many friends and has been an associate with the Sisters of Charity of Cincinnati for the last eighteen years. She believes that the love of Christ compels us to respond to each other with generosity and compassion; that as church, we share Christ’s message most eloquently when we love and care and support each other. It is a message that Michelle strives to live and to share with all those she ministers to, and with, throughout the Archdiocese.